How to construct a law on local finance that will ensure adequate resources for competent and efficient local government for the benefit of the citizens of Albania is the topic of the regional workshop "Best practices in Local Government Finance Legislation: the South-East Europe experience and the challenges facing Albania", organised by the Network of Associations of Local Authorities in South-East Europe (NALAS) and the USAID’s Planning and Local Governance Project (PLGP) on 9 and 10 February 2016 in Tirana, Albania. The event brings together over 70 representatives of Ministries of Finance, Ministries of Local Issues, Mayors, Local Governments, Local Government Associations, Academic Institutions and International Donors, as well as the Offices of the Albanian Prime Minister and President. "Through the NALAS annual monitoring of the fiscal decentralisation trends in South East Europe we compare and see that the average share of local government revenues of the SEE GDP is 6,1%. It means SEE has a large potential to grow, considering that this share on the EU level is 11,3%. 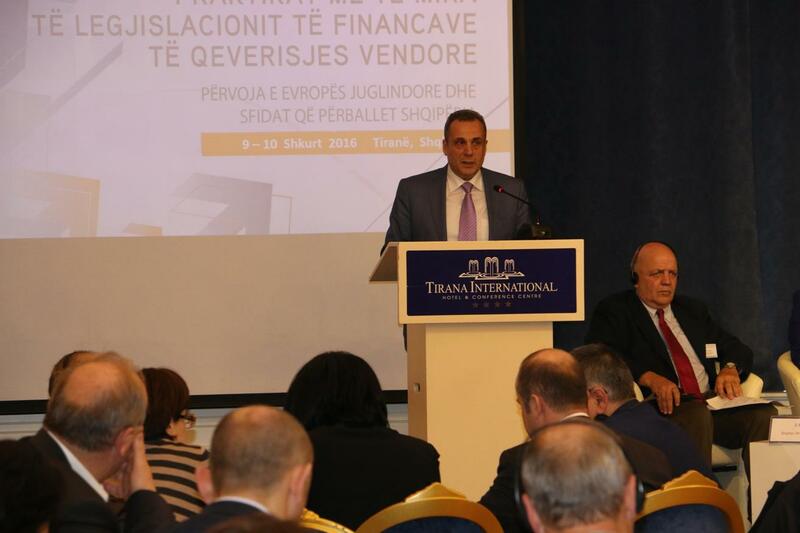 Within SEE the lowest share of local revenues of the national GDP is found in Albania, only 2,5%", said Mayor Naim Ismajli, NALAS Vice-President. "This is why we are here today, to give a clear message to decision makers in Albania that developing a new law on local finances is a great opportunity to improve the picture of fiscal decentralisation", emphasised Mayor Ismajli. The workshop promoted a regional intergovernmental dialogue on the intergovernmental financing mechanisms and laws that are necessary to successfully reinforce fiscal decentralization. 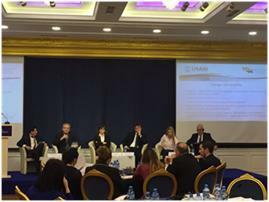 "To deepen decentralisation in Albania, over twenty additional functions have been added to local governments. This means that the most important services to citizens will be now delivered by local governments", said Mr. Enea Hoti, Senior Advisor of the Ministry of Local Issues. "Still, fiscal decentralisation is the core of decentralisation and Albania still has a lot to do in this regard. Our target is that 5-6% of GDP go to local government and this is expected to come from local taxes", concluded Mr. Hoti. 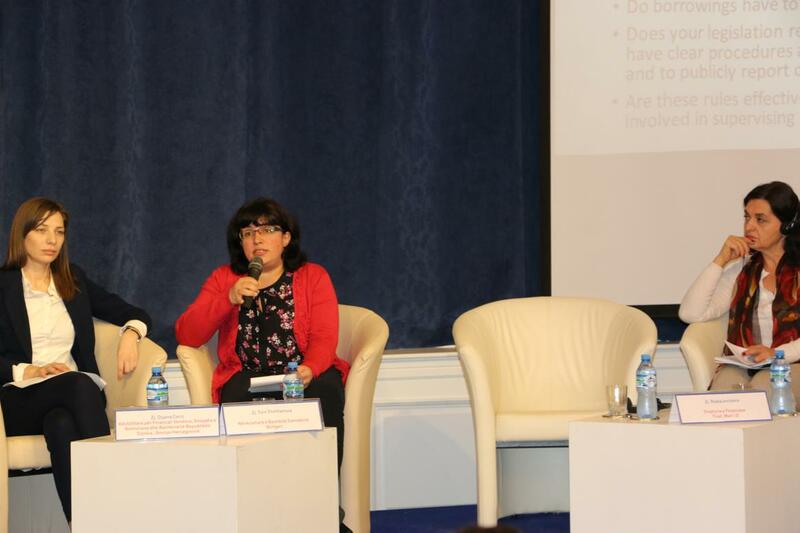 Experts from the SEE region shared their countries’ experiences in the process of decentralization and in the delegation of public functions, with particular attention to establishing local government finance legislation. The workshop discussed common problems, the advantages and disadvantages of different legislative approaches, intergovernmental communications, and other key policy issues and lessons learned from different parts of the SEE region. Representatives of NALAS member LGAs shared their extensive experience with their Albanian peers. "25% of the total budget of Kosovo go to Kosovo municipalities", said Mr. Sazan Ibrahimi, Director of the Association of Kosovo Municipalities (AKM). "We have a number of own revenue sources, such as Property Tax, taxes on construction permits, land use, business affairs, registration of cars, etc. AKM has a strong partnership with the line Ministries and it never happens that a law concerning municipalities is drafted without the involvement of AKM", concluded Mr. Ibrahimi. 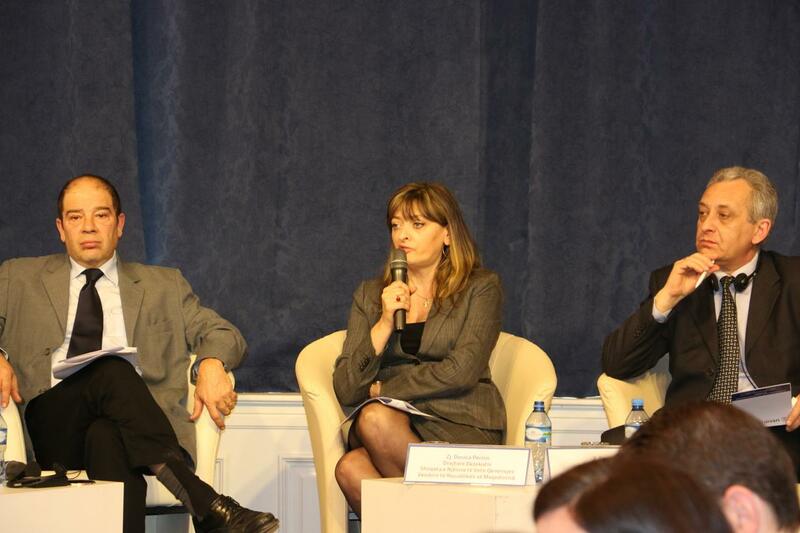 In the same direction, Ms. Zana Djukic, the Advisor for Municipal Finances of the Union of Municipalities of Montengero recommended that in drafting the new Law on Local Finances for Albania measures are foreseen for compensating local governments in the case of legal changes imposed by the central Government that reduce their revenues. "Municipalities in Macedonia have two important shared taxes: 4,5% of the VAT go to Municipalities, based on three distribution criteria: 1) the number of inhabitants, 2) the number of settlements and 3) the territory of LG. 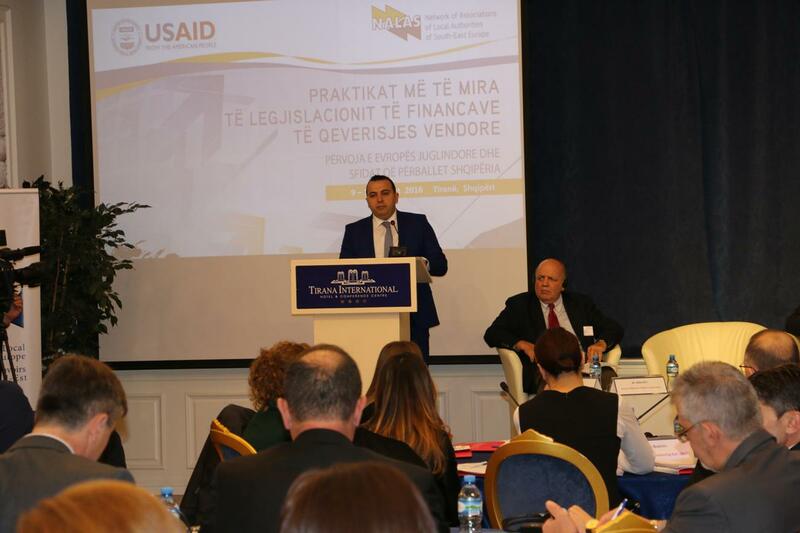 Also, 3% (out of 10%) of the Personal Income Tax go to municipalities", explained Mr. Viktor Arnaudoski, Legal Advisor of the Association of Units of Local Self-Government of the Republic of Macedonia (ZELS). Mayors of Bijeljina (Bosnia and Herzegovina), Bogovinje (Macedonia) and Lipjan (Kosovo) shared their experiences and challenges in local government financing. "It is not appropriate to only ask for funds from the central Government. 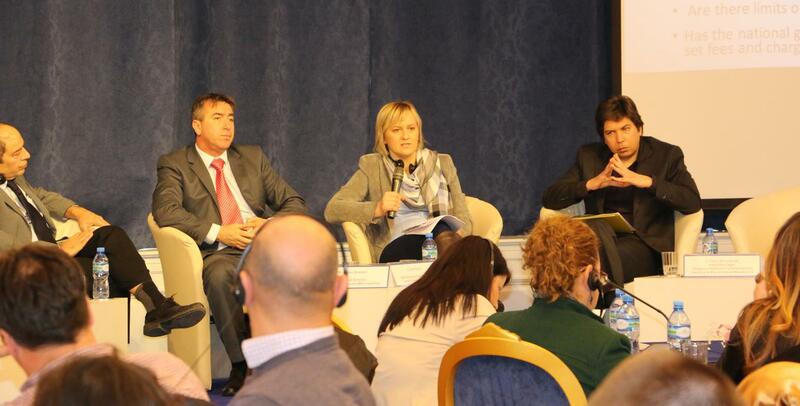 We also have to do our job", pointed out Mr. Hazbi Idrizi, the Mayor of Bogovinje, Macedonia. 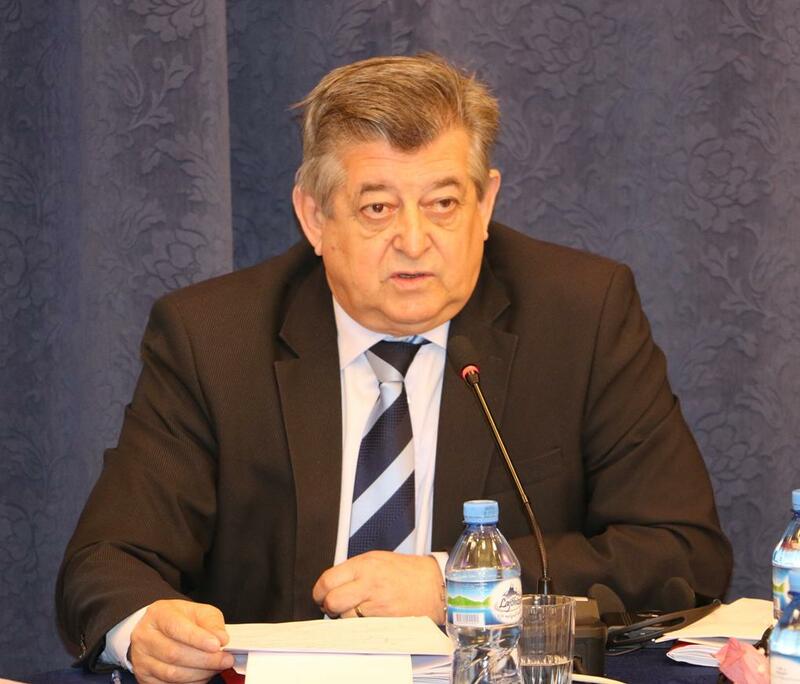 "We in Bogovinje Municipality have done a huge effort to register the property in the Municipality and as a result increased our revenues from Property Tax". "Speaking about decentralisation, we should draw examples from and aim towards the case of European countries, such as Denmark, where 53% of GDP go to Municipalities. This is a real, actual decentralisation, where citizens get most of their services directly from Municipalities", said Ms. Dushica Perishic, Executive Director of the Association of Units of Local Self-Government of the Republic of Macedonia (ZELS). As local borrowing is currently not possible in Albania, while it can be an important investment mechanism, a session of the workshop explored SEE countries' experiences in this area. A Deputy Mayor and finance experts from Bulgaria, Bosnia and Herzegovina and Montenegro elaborated the allocation of conditional grants in those countries, as well as debt capital and investments at local level. "In the Republic of Srpska, Bosnia and Herzegovina, the law allows indebtedness of 18% of municipality's regular revenues. Many municipalities use local borrowing to ensure important local investments", explained Ms. Dijana Coric, Municipal Fianance Advisor from the Association of Towns and Municipalities of the Republic of Srpska. 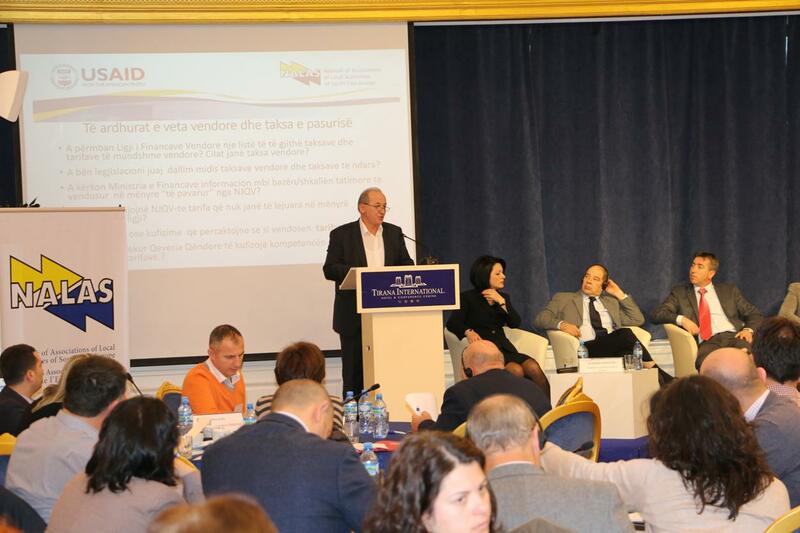 The workshop developed strategic options and recommendations to help ensure the financial sustainability of local governments in Albania. During the second day of the event, to help their peers from Albania in designing the an effective local budgeting process, Municipal Finance Officers from Banja Luka (Bosnia and Herzegovina), Podgorica (Montenegro) and Istog (Kosovo) explained the budgeting processes in their countries and cities and provided practical advices that can help Albanian central and local authorities. "The head of the budget department is obliged to establish a municipal team for defining municipal priorities for the budget year, made of the heads of all municipal departments. It is an element of the budgeting process which includes extensive internal consultations in parallel with the public hearings for the municipal budget", explained Mr. Osman Sadikaj, Head of the Budget Department of Istog, Kosovo and member of NALAS Task Force in Fiscal Decentralisation. Mr. Miomir Jaksic, Head of the Finance Department of Podgorica, Montenegro, shared one of the best practices of the Capital of Montenegro when it comes to preparing the municipal budget. In the process of developing the 2016 budget, the City of Podgorica cooperated with the civil society sector. Namely, a civil society organisation made a survey among all the 15 neighbourhood units of the City and submitted the findings and priorities to the city. 70% of them were incorporated in the City budget. In the panel: Rules Governing Intergovernmental Dialogue, the Moderator, Mr. Agron Haxhimali, the Executive Director of AAM, invited his colleagues to provide advice to the Albanian Associations of Local Authorities on how to approach the negotiations for the Law on Local Government Finance in Albania. On the level of Government and Ministries, the National Association of Municipalities in the Republic of Bulgaria (NAMRB) is represented in over 150 working groups in various legislative processes in Bulgaria. Fiscal decentralisation and management of EU funds are the main topics NAMRB is discussing with the Bulgarian Parliament. "I recommend that, no matter how difficult it is, the LGAs in Albania make sure that there are no “winners and losers” among the municipalities as a result of the legislation that is negotiated. This will create unity and strong position in front of the central government", advised Mr. Emil Savov, the Deputy Executive Director of NAMRB. Ms. Dusica Perisic, the Executive Director ZELS emphasised that one of the most utilised instruments for lobbying for ZELS is the Intergovernmental Commission for Municipal Finances where ZELS has five members, while the Ministries have four members. The role of this Commission is to follow what kind of distribution of the funds will take place in the next year – on the grants, on VAT, education, culture, etc. "These Commissions discuss the formulas and change them as needed, as we did seven years ago with the VAT redistribution in favour of rural municipalities", explained Ms. Perisic. Mr. Refik Bojadzic, the General Secretary of the Union of Municipalities of Montenegro explained that the Union has a very important role in the distribution of the money from the Equalisation Fund, which is a widely used instrument in Montenegro. There is a Commission on Fiscal Equalisation consisted of seven Mayors and two Ministers, of Finance and Local Government, and practically the Union has highest responsibility for allocation of this Fund. In the concluding Panel: Key Conditions for an Effective Local Finance Laws, the International Finance Expert Mr. Tony Levitas made a review of the recommendations conveyed by NALAS members during the two days. The key message is that the future local finance system of Albania should focus less on expanding conditional funds and more on increasing the general amount of revenues through the general grant. 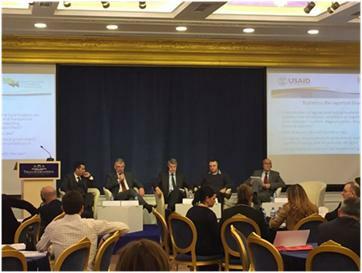 The event was concluded with final messages of the USAID Mission Director to Albania, the Mayor of Tirana, the Vice President of NALAS Mr. Mico Micic, the Executive Director of AAM Mr. Agron Haxhimali and representatives of the Ministries of Finance and Local Government of Albania.